Mateřština (meaning “Mother Tongue”) represents a way of coming back to the music my father taught me when I was a kid. It also touches upon the idea of writing songs about what one has lived, as is often the case in folklore. I am very grateful to my friend Marian Friedl, who made me feel that there is yet so much to discover in Moravian traditional music, which he knows so well and draws upon in his own writing. After spending some years abroad, coming back to my birth country was accompanied by this musical encounter, out of which, thanks to the encouragement and support of Petr Ostrouchov, came the eponymous record. Once the album was out, I received a few very special offers to play it live, so I needed to find a band to do it with me. 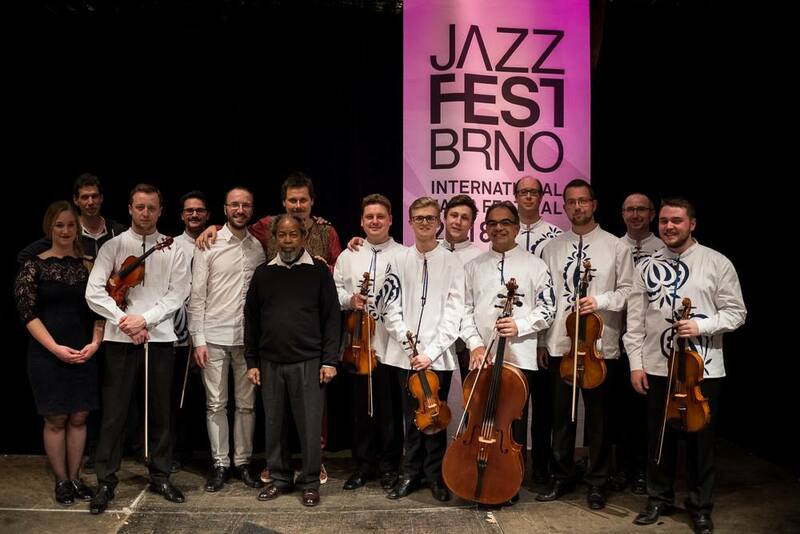 There was really just one option – the musicians from VÚS Ondráš, the only professional folklore orchestra in the Czech Republic. To my great amazement, they agreed to play it with me and even moved their planned holiday time in order to make the first performance! After having spent more than three years with this music, I started to feel that it was about time to move on, even though the making of these concerts was a dream come true. So the last performance took place in Ostrava on the 26th October 2018, which happens to be my mother’s birthday.